Mobile / Tablet Player : Use Google Chrome browser , press play button and wait for few seconds to listen in all mobiles and Tablets . Ukhozi fm Live Streaming Online . Enjoy Listening over 80 South Africa Radio stations freely Online . Enjoy Live streaming of South African Music , News , TalkShows . 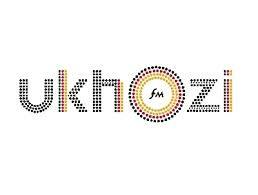 Ukhozi FM is one of the biggest radio stations in Africa with over 7.7 million Listners all over the world. It broadcasts mainly in IsiZulu and targets IsiZulu speaking and understanding audiences in South Africa . It is a South African radio station, broadcasting nationwide and streaming to the world. This Station headquarters are located in KwaZulu Natal , Durban. Ukhozi FM Online targets people ranging from young to elderly, specifically the youth, reinforcing a sense of pride and culture to the young people of South Africa. It focuses on Edutainment and Infotainment . It provides an interactive environment for its listeners, broadcasting News, Current Affairs, and Talk shows, Music, Drama, Sport, Education, Weather and Traffic, with maximum emphasis on local content. This radio is listened by everybody ranging from young and elderly who understand IsiZulu Language. FM will start playing automatically.Please wait 30 seconds to listen to this fm (Player loading may take 30 Seconds).To Listen this station in Ipad / Iphone / Android devices always Use google Chrome browser. SABC KwaZulu Natal Region , 100 KE Masinga Road , Durban, 4001. P.O. Box 1588 , Durban , 4000.